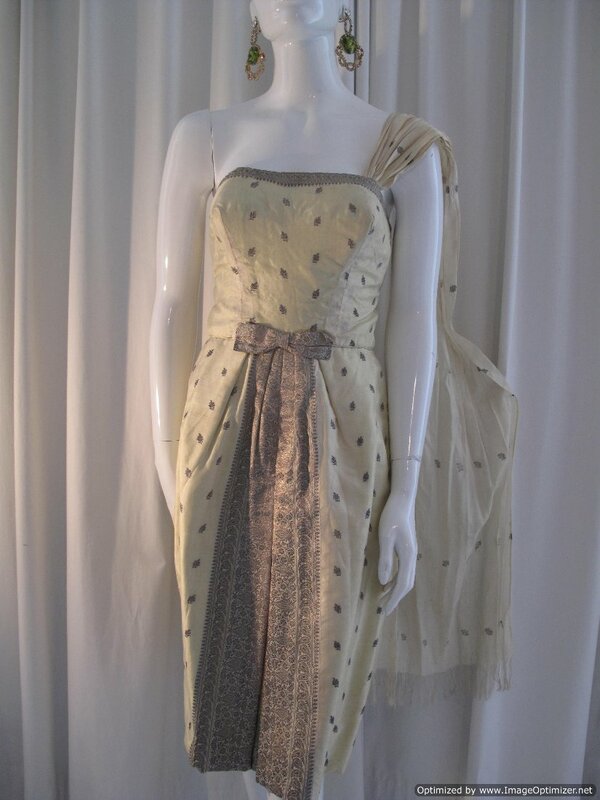 1950's Indian silk pale primrose vintage cocktail gown. 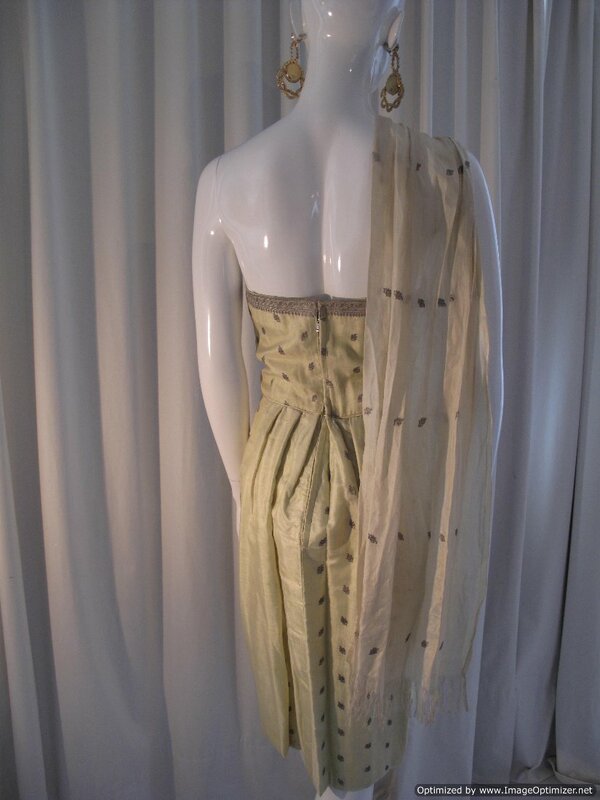 The piece is made from very fine Indian silk, originally woven for a high end sari. It is embroidered with antique gold metallic thread in a typical Indian floral /Paisley design. 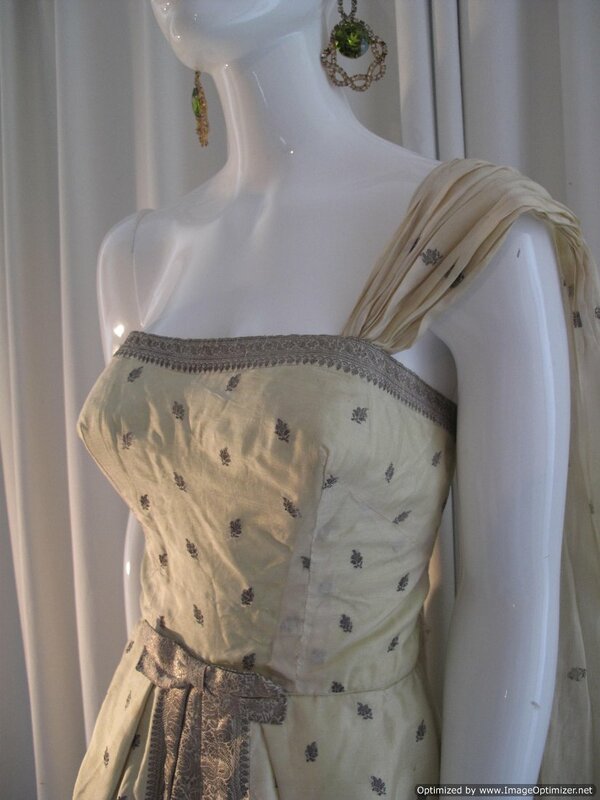 The beauty of the gown is the way it has been designed to utilise the heavy border of the sari in the front panel. 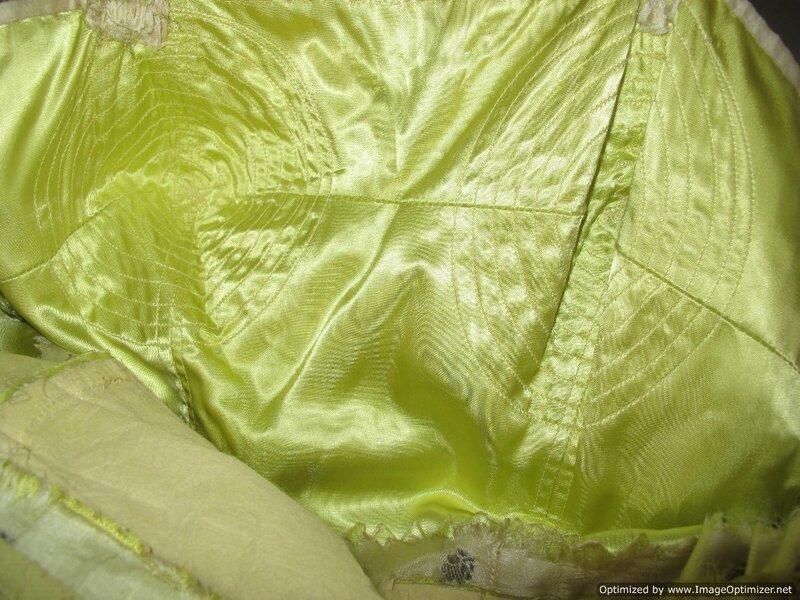 It has a structured bow at the front waist and the top of the bodice. The bodice is very structured and fitted . The internal lining of the dress is in a chartreuse satin and the bust is whirlpool stitched to create the classic 50's conical bust shape. 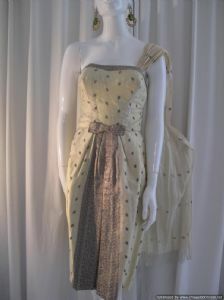 The skirt has deep heavy pleats and stands away from the body. It is backed with stiffened vellum to accentuate the silhouette. There is an attached 'Goddess' scarf on one shoulder and very fine spaghetti straps, that can be utilised or tucked in, to be worn strapless. It has a back zip fastening. 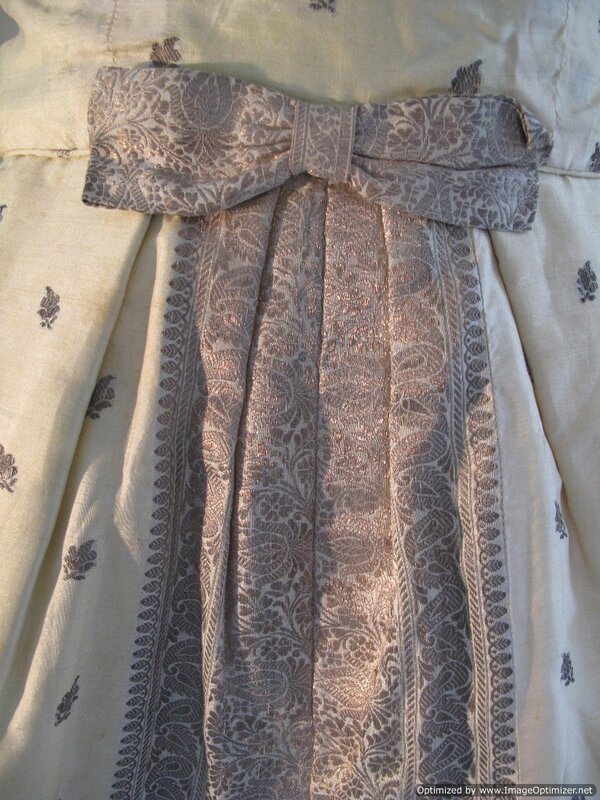 The dress is slightly faded in areas and the fabric has slight 'foxing' stains in areas, due to age and delicacy of the fabric. We are surprised there is no label, as it is a true Designer piece / Couture standard make and internal structure. As it is not in mint condition,* reflected in price*, we think it should be bought to either wear, and be admired or copied by a design company.